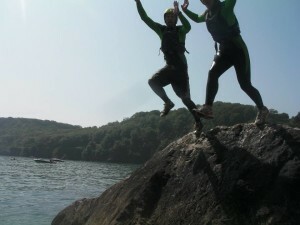 Jump, Climb, Swim, Grin – the most fun you can have in a wetsuit! 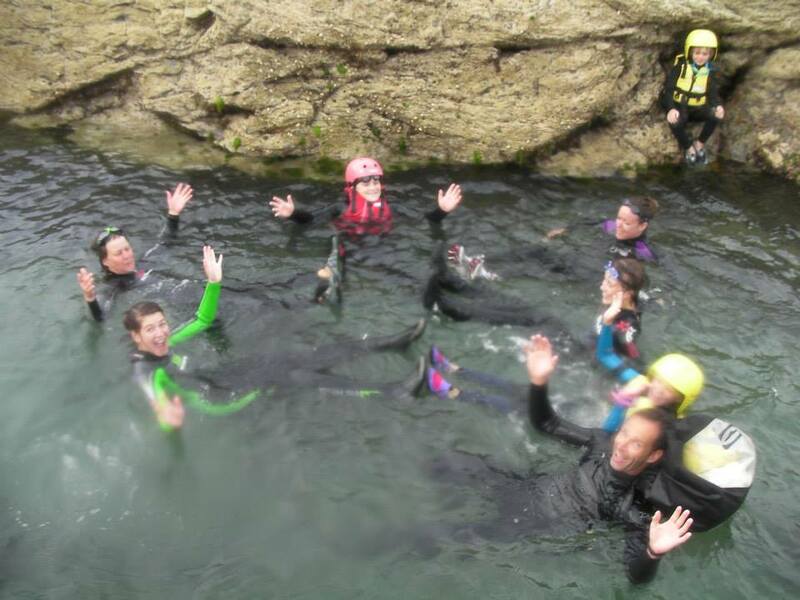 Your very own guided coasteering adventure with Saltwater Safari couldn’t be easier – throw on a wetsuit, buoyancy aid, safety helmet and old trainers then, scramble, climb, swim, grin and cliff jump your way around Cornwall’s awesome rocky coastline where the cliff meets the sea. Jumping is not compulsory but, most people like to have a go! We specialise in running sessions for small private groups of either family and /or friends. Generally we operate a “4 clients to 1 instructor” ratio so, whether you are looking for a new shared experience for the family in a supportive environment or more of an adrenaline rush with friends, call Saltwater Safari and we will get you coasteering. 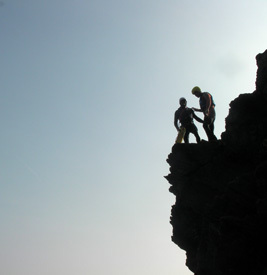 With our coaching experience and local knowledge of both the coastline and wildlife it supports, we choose the location and tailor your coasteering session to your requirements and ability, sea and weather conditions. Newquay, Polzeath, Port Gaverne, Port Quinn, Bossiney and Tintagel are just some of the venues we use in North Cornwall. We kit you out with a winter wetsuit, buoyancy aid and safety helmet – all you need bring is yourself, some old trainers or wet suit boots, a towel and warm clothes to change back into after your adventure.